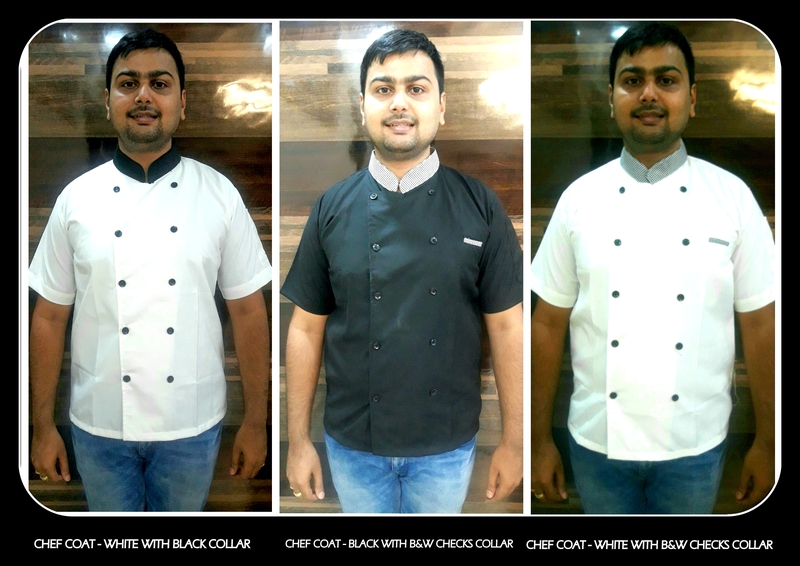 Chef coats retailers in Chennai !! RSM Uniforms is a renowned supplier of chef coats in Chennai. These Chef coats are made from terry cotton material which is extra smooth and very comfortable to wear. The Chef coat are both available in Half and Full sleeve type. There are five to six styles of Chef coats readily available at RSM Uniforms. The three displayed coats are the latest addition to our stock and is available in three different sizes. Grab your Chef coats only at RSM Uniforms. Call us now at 9176 634 635. Happy to assist you with your uniform requirements.